A year-long debate over transparency and ethics rages on among board members of the Zoo-Museum District. Although a committee had previously prepared a new code of ethics and the full board looked ready to be finished with the issue in February, board member Charles Valier proposed new language at this week’s ZMD meeting. His wording would change the requirements for disclosing an apparent conflict of interest and the resulting administrative process that evaluates the potential conflict, in addition to various definitions. Discussion on ethics reached no conclusion at the most recent Zoo-Museum District. Board Member Thomas Campbell disagreed with many of the proposed changes. He urged fellow board members to consider the document as “aspirational,” rather than absolute, and pass it without changes. “No matter how well-drawn the document is, it’s never going to address every aspect of these sorts of matters because reasonable minds can be different,” Campbell said. He suggested that ethics would be determined by individual board members regardless of any code because there is no absolute definition for a conflict of interest. Campbell claimed that Valier was reviving old discussions in the hopes that the board’s new members may decide to contradict decisions made before their time. He also said the changes called unnecessary attention to potential (but not certain) conflicts of interest by alerting the executive director and mayor prematurely, and imposed unfair sanctions for disclosure on board members who might have conflicts of interests. Valier, on the other hand, said that his code required the bare minimum of disclosure. He stressed that the ZMD has an obligation to provide transparent information to the public, and that the current code leaves conversations about conflicts of interest in the hands of the board, rather than the public. Less significant arguments occurred over various definitions, including what institutes should be considered “sub-districts” and whether or not it was a conflict of interest for a board member to carry an umbrella that bore the logo of a ZMD-overseen institute. The ZMD postponed the conversation until a later meeting. Zoo Museum District board member Robert Powell has resigned because of connections with two subdistricts. “After reflecting on it, I just thought I should resign and not belabor this issue,” said Powell. After four meetings held over the past year the Zoo Museum District is taking its first real steps to update the institution’s code of ethics. 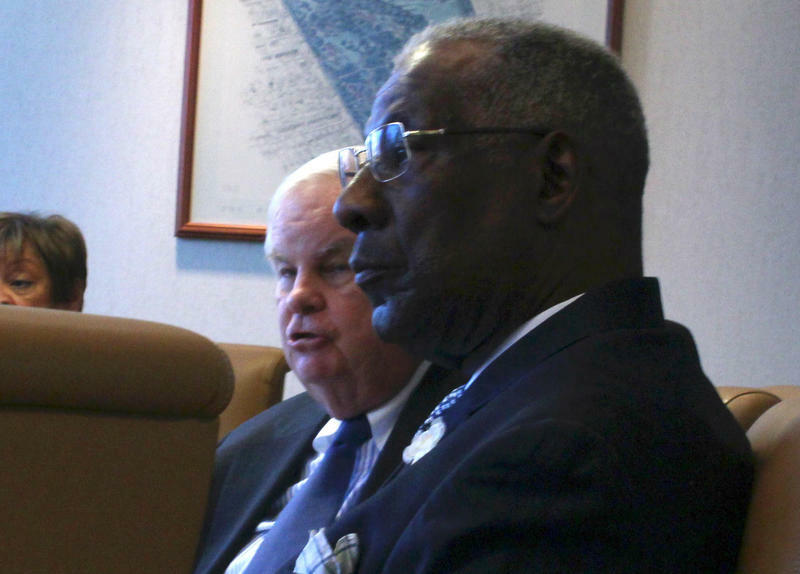 “We’ve made real progress,” said Charles Valier, a commissioner who has been the board’s most vocal proponent of a stricter, stronger, code of ethics.